For many manufacturers and distributors, order picking and packing can be an extremely costly activity. It is also an area that can have the greatest impact on customer satisfaction. After all, getting the pick and pack processes right means the difference between being sure that the orders your customers receive are accurate, in good condition and on time – or not. Let’s take a look at some of the different ways companies can handle the order picking process. The biggest challenge in the picking process is streamlining the movement of order pickers as they move through the warehouse to fulfill the largest number of orders in the shortest period of time. Four of the most common order picking strategies include: 1. Piece Picking: This is probably the most straightforward picking method, and it is where most companies begin. Orders are picked one by one as they come in. The process can be as simple as sending a warehouse worker out into the warehouse with an order in hand, and having them pick items off the shelves until each order is filled. This process is easy to implement, but rarely is it very efficient in anything but the smallest warehouse. 2. Batch Picking: Warehouses that have a bit more traffic will typically need to find a more efficient way to fill orders, and for many, batch picking is the next logical step. Batch picking is similar to piece picking but rather than picking orders one at a time, the order picker might fulfill several orders at once. This streamlines traffic through the warehouse and allows more orders to be fulfilled quickly. As order volume grows, however, it still has limitations. 3. Zone Picking: Zone picking recognizes that piece picking and batch picking aren’t the fastest ways to pick an order, and that many hands make light work. In zone picking, warehouses are divided up into zones, or areas. Order pickers are assigned to pick items only from their assigned zones. If items from multiple zones are required to fill an order, the boxes for those items move from one zone to the next until orders are filled. Often, these boxes are moved via conveyor belt, but it can also be done manually. 4. Wave Picking: Wave picking is essentially the combination of zone picking and batch picking. Orders are picked in batches, with workers assigned to a zone where they will pick batched orders. For even greater efficiency, companies can move toward automated picking, using either a sorting systems method, where orders are actually brought to the picker by conveyor and automated storage units, or the pick to box method, which is similar to the sorting systems method but involves multiple order pickers at multiple stations, with boxes moving by conveyor between stations. However, automated picking can be expensive. 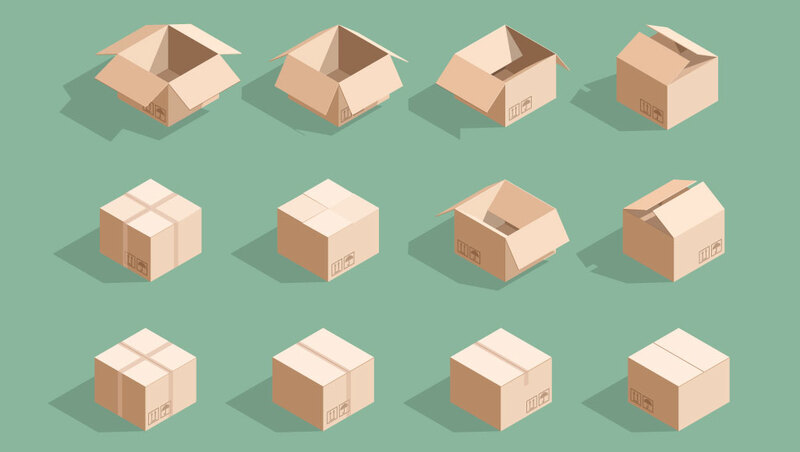 The challenge in the packing process is to use the right size and least number of boxes to complete each order in such a way that shipping costs are minimized, and to use the right kind of packing materials to ensure that orders arrive in good condition. An order management system can be used to meet these challenges: the order management system maintains information regarding each item’s size and weight, and the best type of packaging material is assigned to each item. When orders are filled, the order management system analyzes the order and automatically selects the proper packaging that will keep down freight cost, keep damage to a minimum, and take the least amount of time to complete the order. : Walking around a warehouse all day makes people tired, and tired people make mistakes. To maximize efficiency and order accuracy, look at ways to minimize how many trips around the warehouse your people need to make. Your storage and pick strategies will have a direct effect on this, so if you’re using manual piece picking and random storage strategy, switching to a zone-based pick system and volume or class-based storage systems can allow you to minimize trips. The pick and pack process is highly complex, and its success ultimately depends on getting a number of factors right. The design of your warehouse, the technology and tools you use, how items in your warehouse are stored, the routes your order pickers take through the warehouse, your order picking strategy, how you pack, stage and prepare your orders – along with multiple other factors – all play a role in whether your pick and pack process results in a properly fulfilled order and a happy customer. What strategies are you using for your pick and pack processes? We’d love to hear about it in the comments.